Jazz Connexion is a big band consisting of a dynamic group of musicians who enjoy all variations of jazz music. Ranging in age from post secondary students to much older, these musicians have a diverse background and are alumni of various schools, community bands, colleges, university groups who want an opportunity to continue playing music. 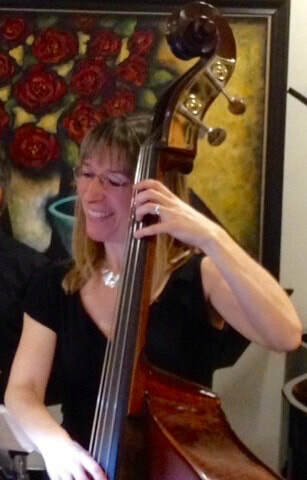 Jazz Connexion is one of the community music groups under the umbrella of the North Shore Community Music Society. Another group under the same umbrella is the Sea to Sky Wind Ensembles(SSWE). Many members of Jazz Connexion are also members of SSWE as well. Jazz Connexion's roots can be traced back to 1988 when soon after the beginning of SSWE, those who also had a love of jazz and desired for a challenging play list, created Jazz Connexion. Jazz Connexion has had a number of well-known directors over the years and presently is under the direction of Christian Morrison, who is continuing to establish Jazz Connexion as a thriving and talented jazz group. The primary objective of the Jazz Connexion is to enable people to continue developing their musical experience they began in school or other community groups and establish a life long commitment to music. Jazz Connexion continues to promote jazz music by participating and performing at a number of community events along with encouraging and promoting music in schools. For those who like jazz in a big band format, Jazz Connexion's "Night of Jazz" concerts are not to be missed. Jazz Connexion rehearses Tuesday evenings at 6:30 pm until 7:55 pm every week in the Windsor Secondary School Music Room, North Vancouver, at the west-end of the school (off Lytton Street). If you would like to inquire about joining the Jazz Connexion, please fill out the form on the Contact page and we will get in touch with you! Christian Morrison is a university-trained classical/jazz trumpet, saxophone and bass player, conductor and arranger. Her accreditation as a Professional Coach enables her to help people discover and deliver the best in themselves. Her greatest joy is leading other passionate and committed musicians in having fun and developing musically through rehearsing and performing uplifting and challenging music - and sharing this gift of music around our community. Christian earned her Bachelor of Music in Trumpet Performance at McGill University, followed up by graduate studies at Boston University and 2 summers at the renowned Aspen Music School. She later studied jazz, conducting and arranging at Capilano University. An active community musician since she moved to Vancouver in 2006, Christian has been Music Director for the Mighty Fraser Big Band (formerly ThirdStage Band) for 7 years and has also worked with the Deep Cove Big Band, the South Van Big Band, the Vancouver Fire and Rescue Services Band, ﻿Accidental Jazz﻿ and the West Vancouver Adult Pops Band. She loves the power and range of sonorities of the jazz ensemble/big band genre and its broad repertoire, and has been performing in big bands since the age of 12. This passion led her to co-found and continue to organize the WestCoast Big Band Festival, an annual performance, networking and educational event bringing together community big bands from across the Lower Mainland since 2015. In Christian’s “other life”, she has an MBA, is a retired Senior Vice President of RBC Financial Group (where she had a 20-year career) and currently serves on the Board of Directors of Coast Capital Savings. Her deep experience as a corporate executive focusing and motivating teams of 30-2000 people have made her an inspirational leader and an engaging spokesperson. She lives in North Vancouver with her husband, Dan, and is a proud mother to 2 fascinating young adults, Ash and Iain.